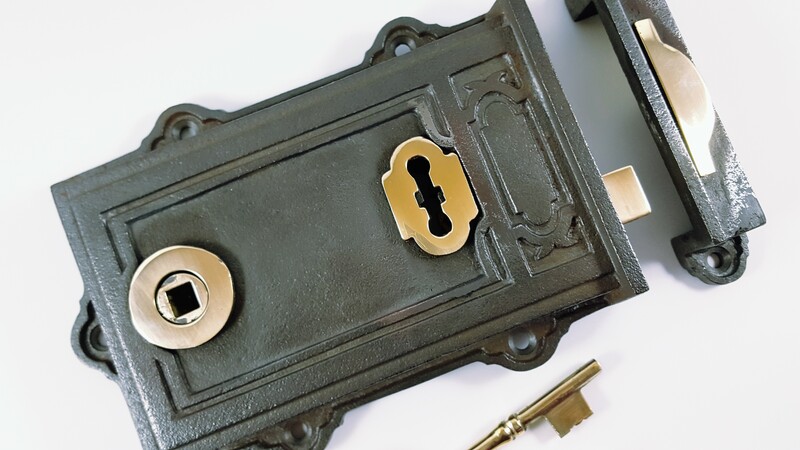 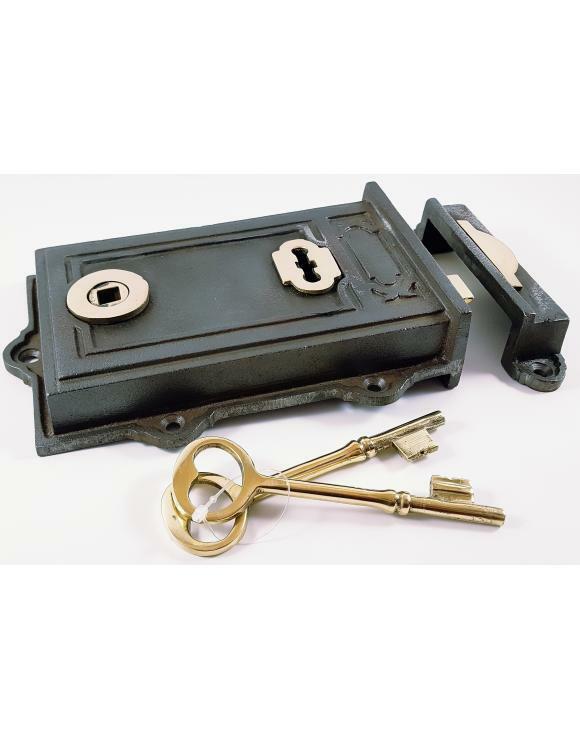 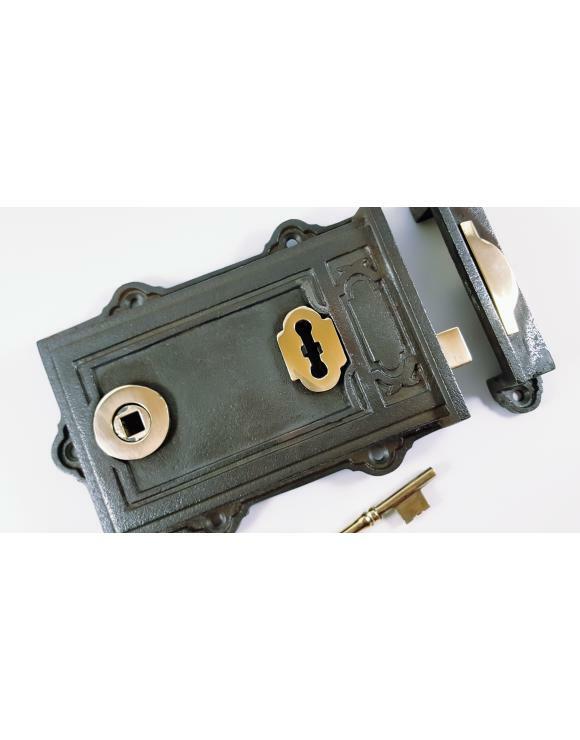 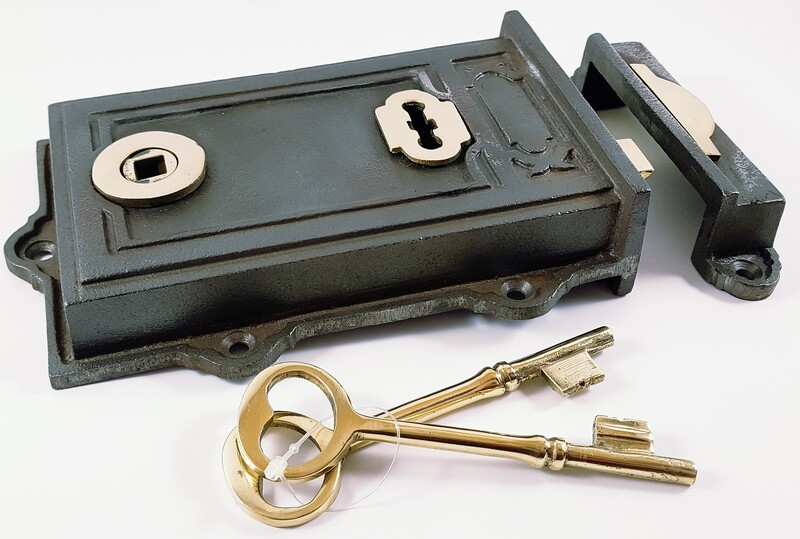 The Davenport Rim Lock is constructed from cast iron and brass and is complete with two brass keys. 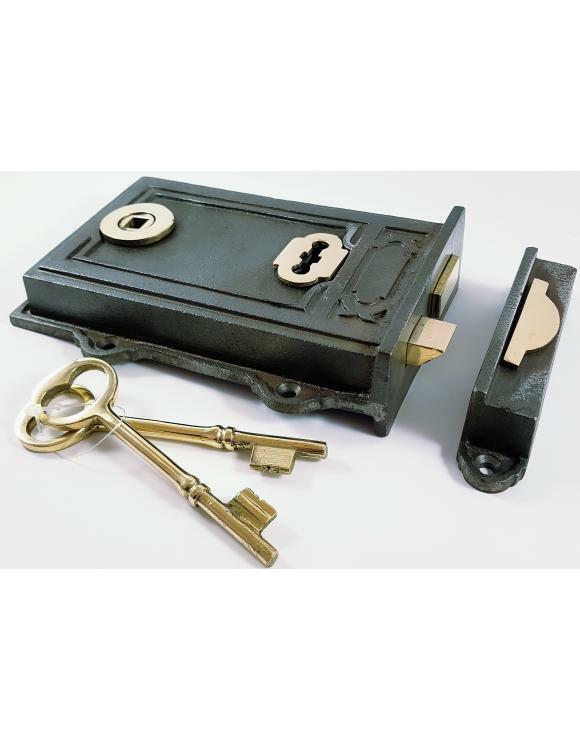 Victorian in design right down to the construction of the mechanism and the way that the brass is incorporated within the lock & keep. 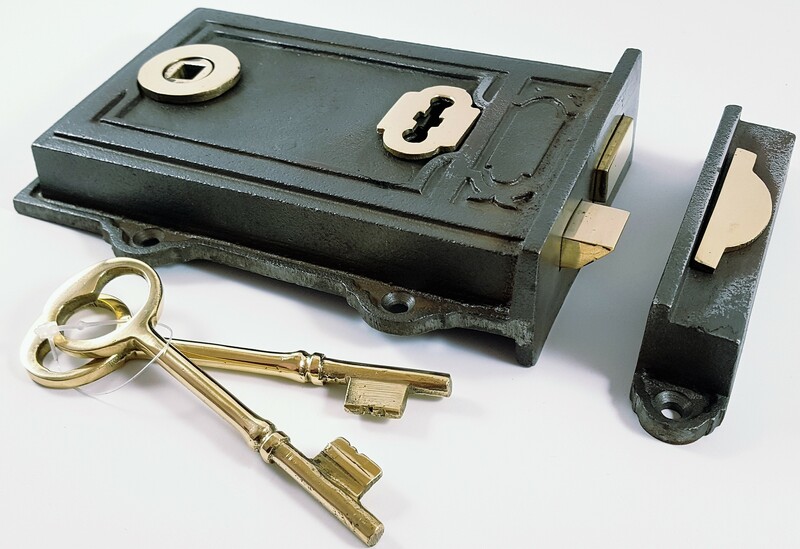 Keys are approx 4" long.